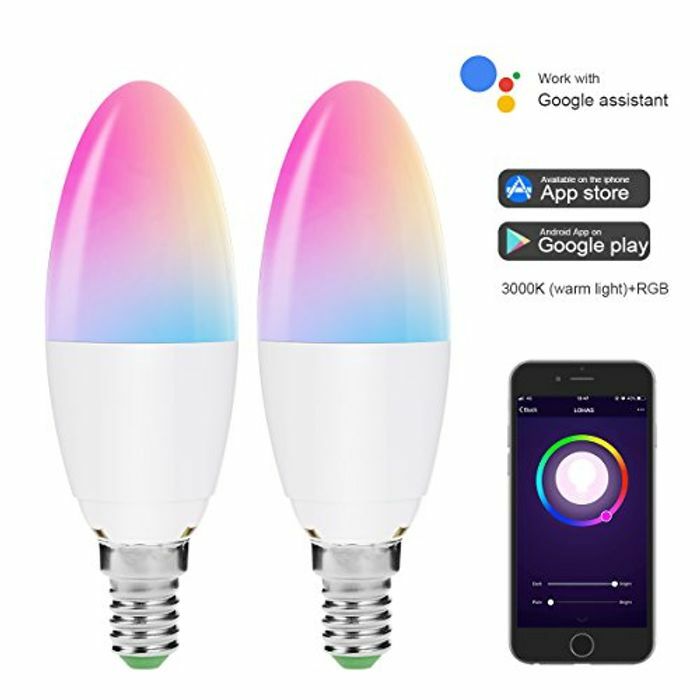 You can get this Unicorn Smart Light Bulbs (Pack of 2) reduced from £31.99 to just £15.99 with Prime delivery. Hmmm, I just tried again and it’s working for me. What does your error message say? I was using the code on a pair of bulbs with bayonet fittings, but after being unsuccessful twice, a bought the small screw in bulbs for the wall lights. I was being frugal, hoping to put them in two rooms, so the lounge and dining room, main ceiling fixtures. I'm still pleased.